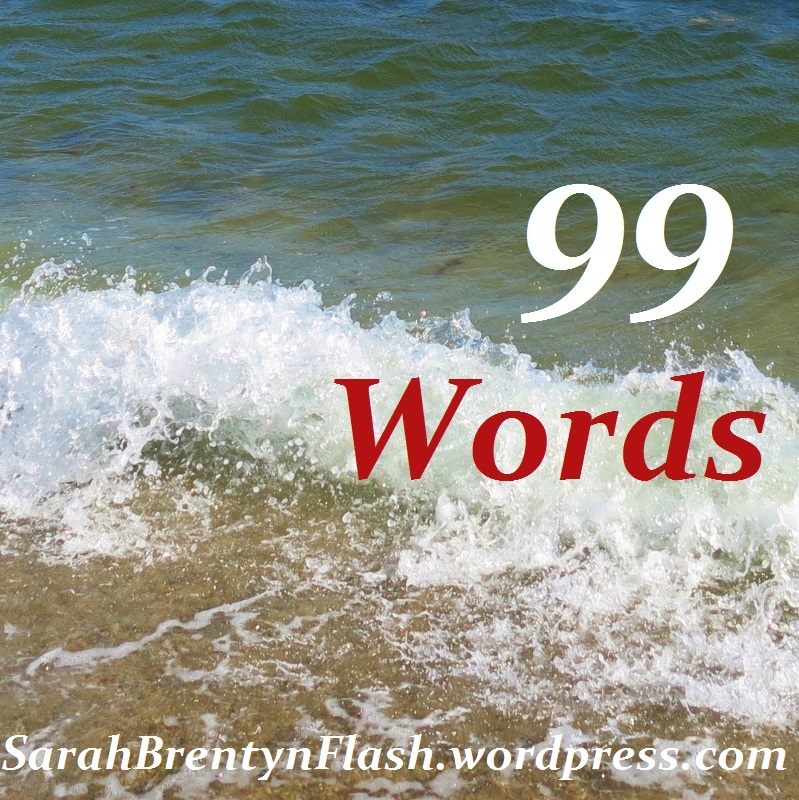 This contest asks writers to pen a flash in 99 words composed in tweets: 11 tweets, 9 words each. Here’s my attempt (not an entry, just challenging myself for fun). First are the actual tweets, then, same story in 11 sentences (each with 9 words). They find me. Crouched behind a rusted filing cabinet. Gloved hands grip my bare arms, lifting me easily. Shoving me into bright sun outside the hospital ward. I run back, stumble, fall hard on the asphalt. I reach for the door. I reach for him. Balancing on my left palm, I almost make it. With their heavy boots, they step on my fingers. They laugh. I shout. They threaten. I kick. Dammit! They grab me, make me promise to stay away. Tell me he is sick and dangerous. They lie. Then, again, so do I. They will die tonight. Tweet some fiction, fellow tweeps. You could win $25. 🙂 Check it out here. 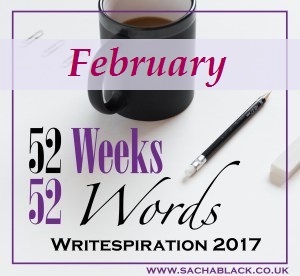 This contest asked writers to pen a flash in 100 words from the perspective (and voice) of your 6-yr-old self about…you guessed it…”When I Grow Up”. Here’s my attempt (not an entry, just challenging myself for fun). I’m in the hallway at school, cuddling Oscar, my purple owl stuffie. I’m petting his fur. Owls don’t have fur but I pretend it’s feathers. And that’s okay. Their voices creep from under the door with number 17 on it. That’s my classroom. Words like “simple” and “incapable” hit me. I pull Oscar closer. They say I do not understand things. I don’t like coloring circles in red and squares in blue to prove I know the difference. I know. I know trapezoids, octagons, parallelograms… I want to find a new shape, maybe, when I grow up. 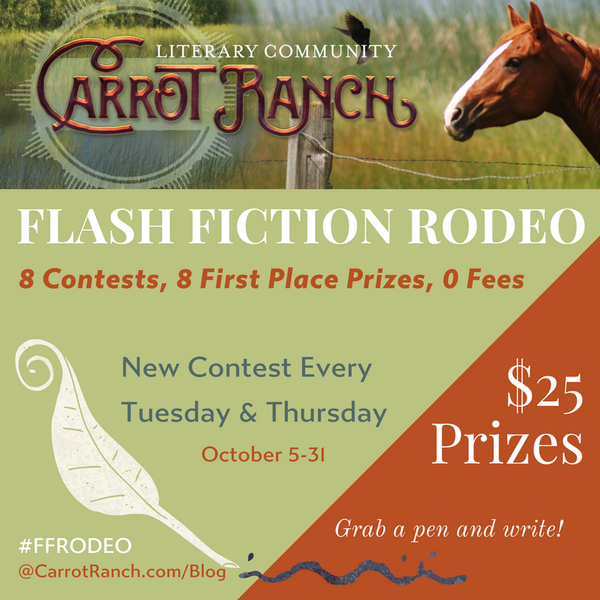 Check out the flash fiction contests this month at Carrot Ranch. They start today and a new one is up every Tuesday and Thursday. Click here to see the information for each contest. Pick one (or more) and join in. Free to enter. $25 prizes. Night is soft, quiet, speaking in layered moonlight. She whispers through trees, between branches. Beautiful darkness soothes us even though she knows it is her that we fear. 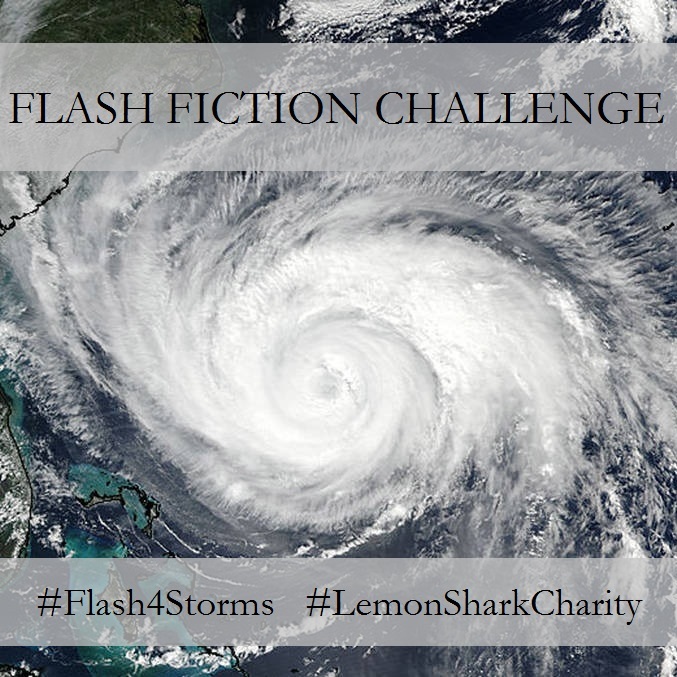 Written for the hurricane relief flash fiction challenge over at Lemon Shark. I’ve just raised the first $1. 🙂 See? That was easy. Hope you join in. 67 years after her death, she finally got accepted into the exclusive society of Spirits with Ennui when her grandson became a bored member. Each tweet, alone, is a micro with beginning, middle, and end. But, together, they make a little story. I can collect tweets and create a post. Normally, they’d be from different dates, have different hashtags, and be inspired by different prompts. He spent his lunch break stacking juice, cereal boxes, candy bars…pigeon-holed by his supervisors as a dim-witted stock boy. He would never make it to cashier never mind manager. His position gave him time to think and, within two years, he was awarded the Nobel Prize for his work in quantum physics. I spotted him at the gas pump, a blonde in his car applying mascara. 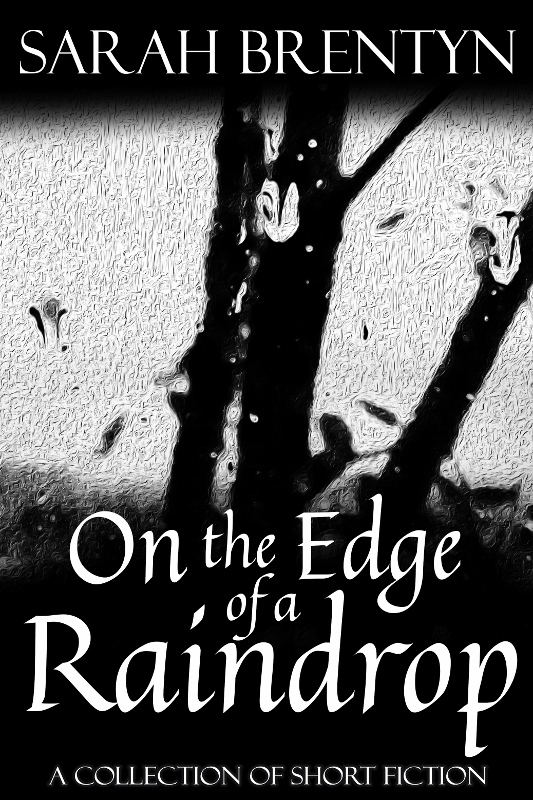 Unshowered, clinging to a bottle of cheap vodka, I staggered over. “See you’re hiring hookers,” I gestured to the blonde. “They’re ‘escorts’. 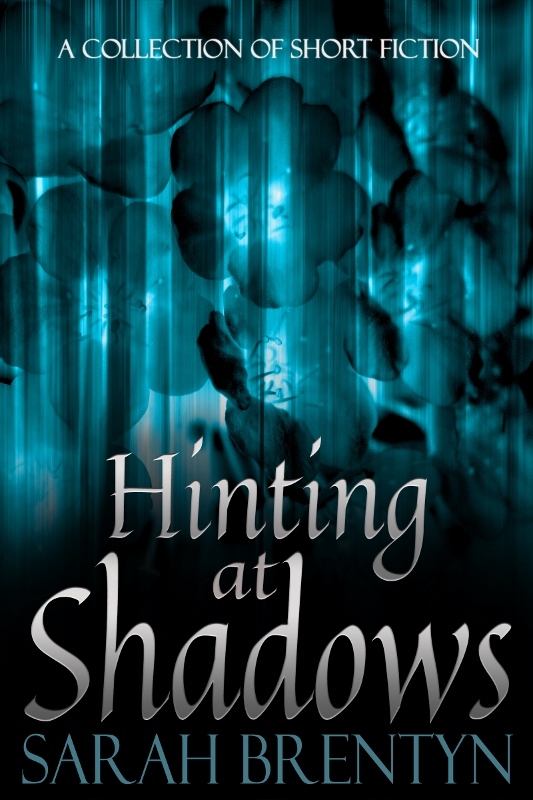 Pricey but worth it.” He grinned. My mother laughed. My father explained the distance between the earth and the moon. My grandparents said I was spoiled. Which had nothing to do with the moon, but they never missed a chance to say it. My teacher told me about astronauts. “What’s that supposed…” he grabbed his throat, glaring at me. It hadn’t worked. But she didn’t regret a thing she’d done to try. She accepted a folded pile of clothes from the guard and shuffled in line with the other women. She glanced back at the man. Fifteen years shifted around the walls in her mind. 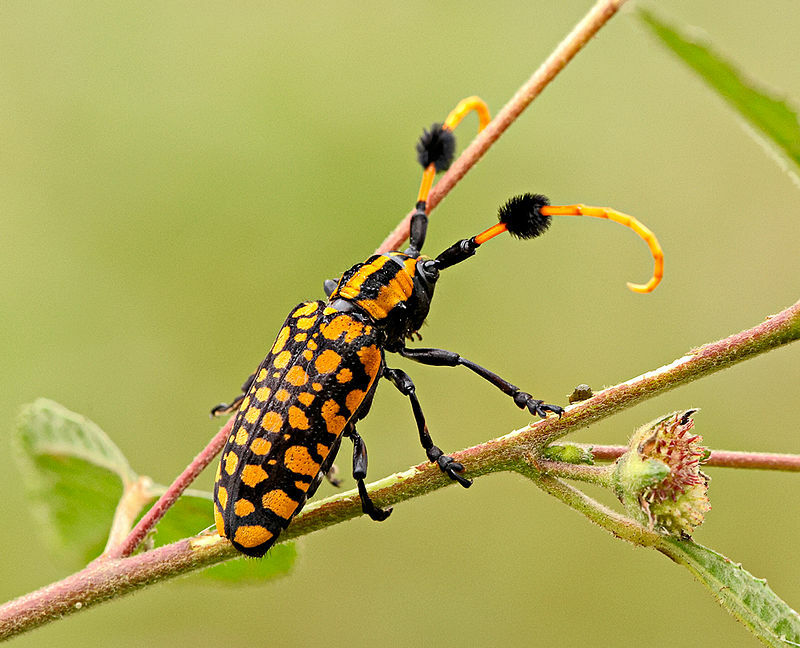 “I wonder if they actually have one hundred legs,” he dangled the centipede inches from her nose. She shook her head and took a step back, bumping into the counter.